NGC 4244 is an edge-on spiral galaxy located in the constellation of Canes Venatici. 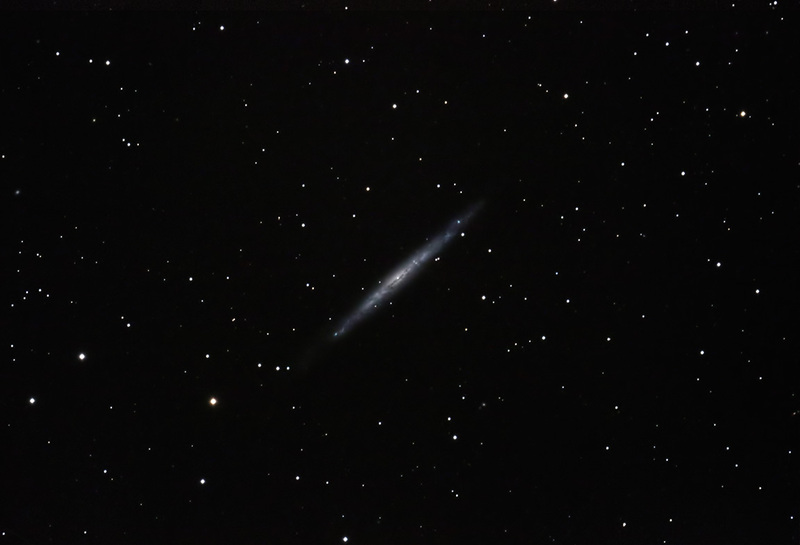 It is commonly refered to as the Silver Needle Galaxy. It is It is part of the M94 group, lying approximately 13 million light years away and spanning 65 million light years. Processing: Images were focused using Live View. They were converted to TIFF format using Camera Raw. They were aligned and combined using ImagesPlus. The final image was adjusted in Photoshop. Sharpening and noise reduction were done using Topaz Detail and DeNoise respectively. Some cropping was applied.